When the woman saw that the tree was good for food and pleasing to the eyes, and that it was desirable for obtaining wisdom, she took the fruit and ate it. She also gave some to her husband, who was with her, and he ate it. And the eyes of both of them were opened, and they knew they were naked; so they sewed together fig leaves and covering for themselves. Thus begins the origin of fashion—the immediate aftermath of self-knowledge and original sin, curses that have haunted the industry ever since. The bare fig leaves of Adam and Eve have since transformed into a multitrillion-dollar business with vast economic, ecological, and human rights implications. Among the myriad of choice and variety available to the modern consumer stands a notable phenomenon: the individual uniform, the practice of wearing the same outfit every day. In opposition to the maximalist mantra “more is more,” the individual uniform undermines the established consumer dogma, radically changing the relationship between the wearer, their clothes, and the world around them. Fashion is representation. Every morning, with varying degrees of consciousness, we decide who we want to be—or more often, how we want to be seen by others. Like all forms of representation, fashion fails to capture all aspects of the object it claims to represent. A layer of complexity is lost in the translation between the amorphous blob of human consciousness and the textiles, plastic, and leather that cover and shelter us; to represent is to reduce. Despite fashion’s limitations, humans have a strong, nagging desire to express themselves through any medium available, including through their clothes. The desire for expression through fashion, paired with the inability to properly and completely capture the vastness of the human experience, creates an immense feeling of frustration. Dressing becomes an exercise in anxiety and neurosis, especially for young people. The individual uniform disrupts this problem on both sides of the equation: for some, the individual uniform is an embrace of reduction. The goal is no longer to articulate one’s whole humanity, but to present a purposeful caricature. For others, the uniform is a total denial of that desire for expression. Gender complicates this paradigm: since a woman is expected to invest more time and energy into her appearance than a man, to reject variety in favor of uniformity is an assault to femininity. Social norms discourage her from adopting an individual uniform. 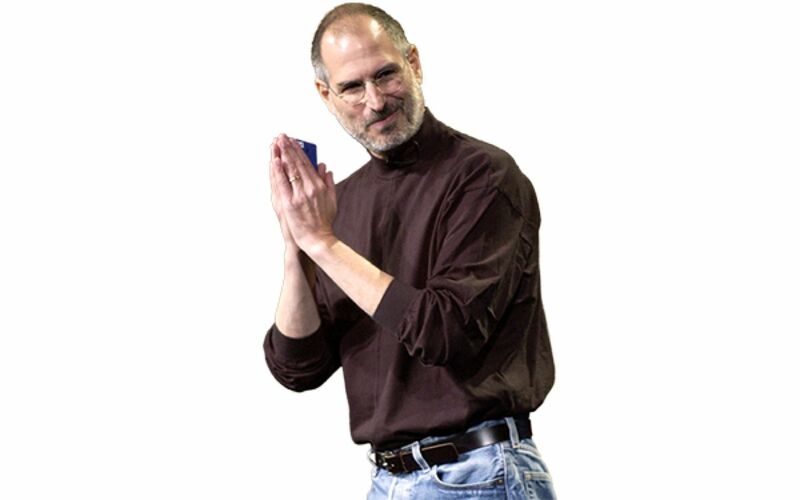 Steve Jobs’ black turtleneck, Levi Strauss jeans, and New Balance trainers are the paradigmatic example of individual uniform as performance. Jobs was a design innovator, yet he shaped and was shaped by a modern business culture that prioritizes efficiency and profit, while paying lip service to creativity and ethical living; his uniform embodied this paradox. The Jobs uniform began with a trip to Japan in the early 1980s, where he learned that all workers in Sony factories wore uniforms as a way of bonding workers to the company. Back in Silicon Valley, Jobs attempted to import the work-place uniform to Apple with—unsurprisingly—little success. Undeterred, he enlisted the help of famous designer Issey Miyake to create an individual uniform that projected a signature style: the turtleneck conveys intelligence and forward thinking, while the jeans and sneakers rebuked the IBM-corporate aesthetic that Jobs disdained. Combined, the uniform cemented Jobs’ legacy as radical-genius-visionary. Beyond the mythology, Jobs will also be remembered as a salesman—a very good salesman. The uniform strengthened the relationship between Jobs and his product. Through his clothes Jobs became the iPhone—sleek, simple, standardized. He blurred the lines between consumer, producer, and good. Similarly, Karl Lagerfeld, the fashion designer and former creative director of Chanel, embraced the individual uniform as reduction. Until his last days, Lagerfeld was rarely seen out of his signature black suit; black sunglasses; leather gloves; high, starched, detachable collars; and powdered ponytail—think courtier meets vampire. Known for his terse wit and eccentricities, Lagerfeld has become a pop-culture icon. To sketch his most notorious quirks: totally enamored with the iPod, he owned 300 of them; had two maids for his cat Choupette; and lost 100 pounds in order to wear Hedi Slimane’s notoriously skinny clothes for Dior Homme. Beyond his idiosyncrasies, Lagerfeld transformed the fashion industry by codifying the conventions of ready-to-wear and transforming Chanel into a multibillion-dollar empire. 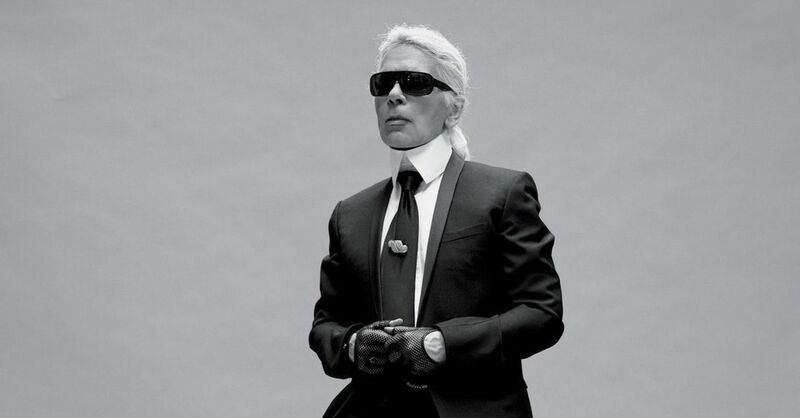 To the public, Lagerfeld encapsulated a glamorous, fastidious genius—a sartorial Willy Wonka. Lagerfeld leaned in to his persona, once saying, “I am like a caricature of myself, and I like that … It is like a mask. And for me the Carnival of Venice lasts all year long.” The uniform was an essential part of Lagerfeld’s performance, reinforcing the stereotypes that surrounded him. The hair, suit, and collar revealed his anachronistic sensibilities; the sunglass gave off a cool aloofness; and the leather gloves displayed his biting edge. Lagerfeld demonstrates how the uniform can become a personal statement. While Jobs and Lagerfeld embrace the individual uniform and still meaningfully engage with fashion as representation, others use the individual uniform to distance themselves from fashion entirely. Within this subgroup, there exists serious disagreement: some deny self-expression in order to increase productivity in other areas of their life; some have individual uniforms as part of a larger philosophical pursuit—the denial of the ego. When asked why he wears the same outfit every day—jeans with a gray t-shirt or hoodie—Mark Zuckerberg replied, “I really want to clear my life to make it so that I have to make as few decisions as possible.” The underlying rationale is that choosing what clothes to wear—attempting to portray a unified self—distracts Zuckerberg from running Facebook, decreasing his productivity. By cutting out unnecessary decisions, Zuckerberg is able to live more efficiently. Decision fatigue, the tendency to make worse decisions as the number of choices increases, justifies the Zuckerberg uniform. In the 1990s, Florida State University professor Roy Baumeister concluded that our ability to make intelligent decisions throughout the day decreases because decisions made earlier in the day sap our mental energy. By decreasing the number of ‘trivial’ choices, Zuckerberg has more resources to spend on other, ostensibly more significant decisions. Zuckerberg’s decision to wear a uniform requires dubious normative judgements regarding which decisions are more important than others; to wear an individual uniform as a tool for productivity is to further commodify oneself as a profit-maximizing entity. We should note that it would be impossible for a female CEO to replicate the Zuckerberg aesthetic; she would not be taken seriously as a business-women. Women in the workforce do not have the option to ignore their physical appearance. While Zuckerberg’s philosophy fuels the corporate rat race, it raises an important question about the importance and effect of consumer fashion on the modern psyche: Do clothes add to our lives and lead to greater satisfaction? The ascetic would reply with an unqualified no. To engage in fashion is to feed one’s ego. The frustration that results from want—in this case, the want to express oneself and find validation from others—is precisely the misery the ascetic attempts to overcome. The saffron robes of Buddhist monks epitomize such rejection of fashion. The Buddha reflected, “Properly considering the robe, I use it: simply to ward off cold, to ward off heat, to ward off the touch of flies, mosquitoes, simply for the purpose of covering the parts of the body which cause shame.” Clothing for Buddha serves a utilitarian purpose; any additional flourish or accessory would be an indulgent display of vanity. One not need to be a strict Buddhist—to call for the complete negation of the self and all human wants—in order to sympathize with the approach. Insofar as fashion is an activity steeped in self-consciousness and anxiety, spiritual liberation might require an elimination of fashion. The individual uniform then becomes a tool for enlightenment. Despite the theoretical delineation between uniform as embrace of persona and as denial of expression, in practice the line between the two concepts often blurs. Unless one is the Buddha, and has completely destroyed the ego, fashion is necessarily self-conscious, despite one’s purported goals or aspirations. The desire for approval is simply too strong. For example, although Zuckerberg claims to exist above fashion, his uniform is still intentional. He purposefully chose the grey t-shirt and jeans out of all other possible combinations of clothes because they create a persona—albeit, a persona defined by apathy. The plain, minimal outfit reinforces common perceptions programmers have of themselves—especially in Silicon Valley—as above petty concerns, instead focused on crafting the world in their own image. Zuckerberg could have simply hired a personal stylist and similarly avoided “unnecessary” choice; instead, he actively created a personal uniform, coopting and reinforcing certain stereotypes about programmers. Zuckerberg demonstrates that the two motivations for wearing an individual uniform often intersect, especially in the corporate world. Given that fashion is omnipresent and infects every aspect of our waking lives, the problem of fashion is existential: the inability to properly express oneself creates anxiety and self-consciousness. The personal uniform solves this problem—for men, at least. At one level, the wearer uses the uniform to create a purposeful caricature—a personal brand; conversely, the uniform eliminates the desire for expression entirely. The boundary between these two motivations is permeable. 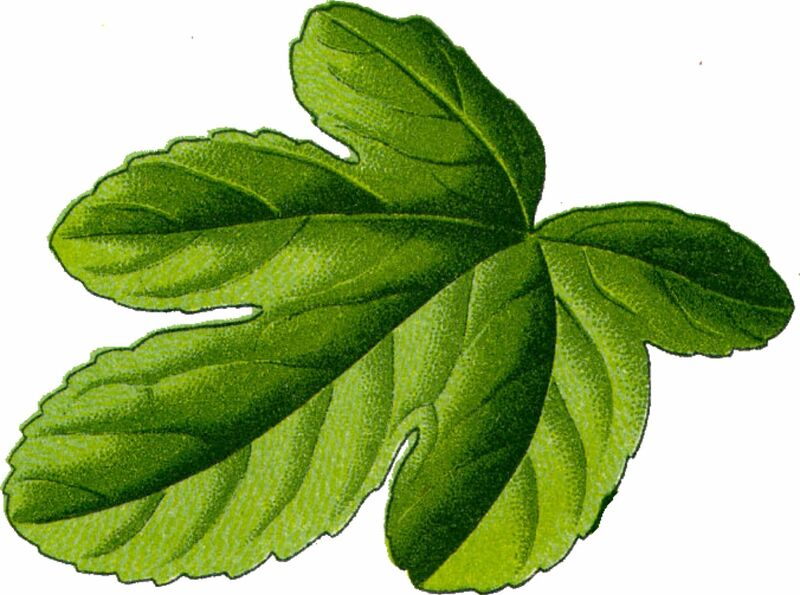 If only we could return to a time of fig leaves. BILAL MEMON B’22 plans to live in a nudist colony.